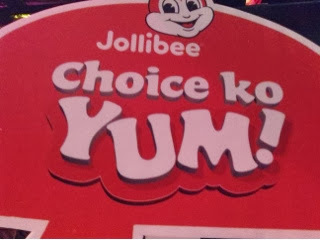 Jollibee, the country's leading fast-food chain in partnership with MYX, the number one music channel in the Philippines had just presented the results of the first ever Choice Ko Yum Awards. 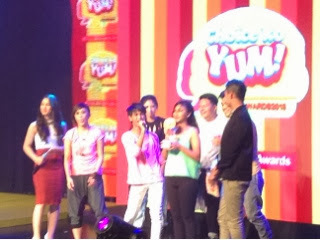 These represent the youngsters' choice in music, film, fashion, sports and in almost everything else they feel passionate about. 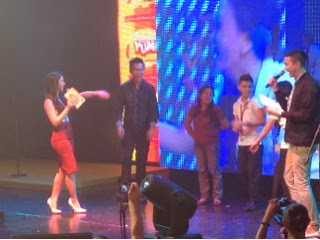 The award giving body had given the youth the chance to hear their voices out loud as they expressed themselves and celebrate their best choices with Jollibee's all-time favorite langhap-sarap burger, Jollibee Yum! 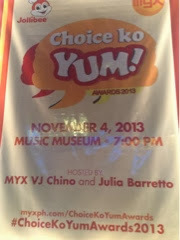 A total of 6,258 votes were gathered from the site www.myxph.com/choicekoyumawards from September 18 to October 24, 2013. 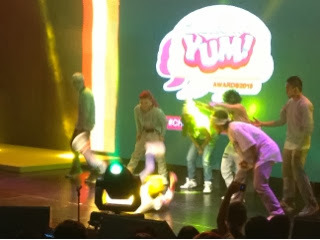 The Choice Ko Yum Awards 2013 awarding night was held at the Music Museum in Greenhills. 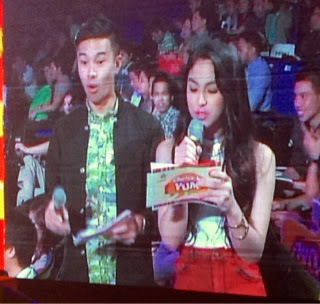 Hosted by MYX homegrown VJ Champ Lui Pio and Choice Ko Yum Awards 2013 winner for Local Choice Female Heartthrob Julia Barretto, the program was kicked off by a stellar performance of The Philippine All Stars. 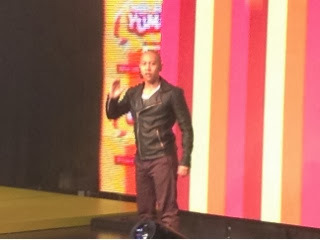 Mikey Bustos did a short comedy act for the audience during the Choice Ko Yum Awards night while fast rising actor Khalil Ramos also presented an award. 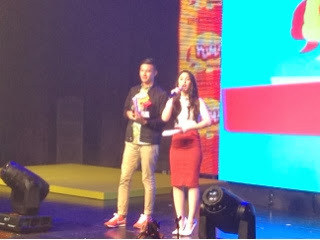 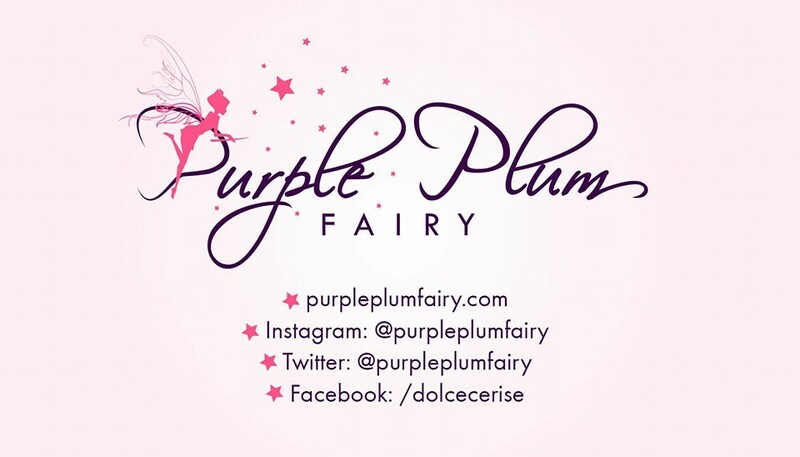 There were awesome raffle prizes that were given away including gadgets, barkada tickets to an amazing destination and one year supply of free Jollibee Yum Hamburgers to lucky guests. 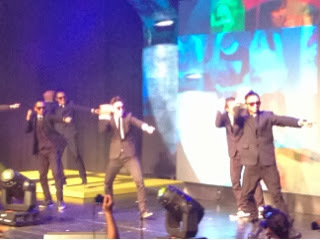 MAC Dancers from Adamson University who were the Choice Rising Performer also presented a dance number. 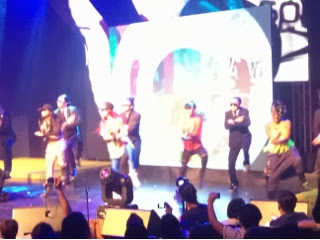 There have also been a short fashion show where youngsters sashayed on the ramp with cool and trendy get ups. 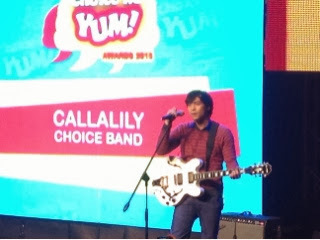 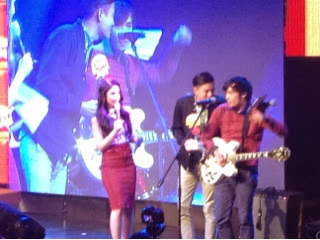 The Choice Ko Yum Awards 2013 night capped off with the youth's Choice Local Band Callalily. 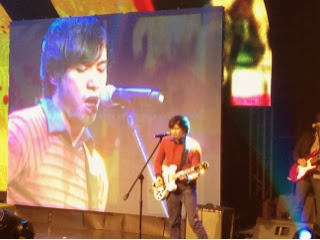 Kean Cipriano, Callalily's front man and vocalist thanked the ones who voted for the band and wowed the audience with his performance.